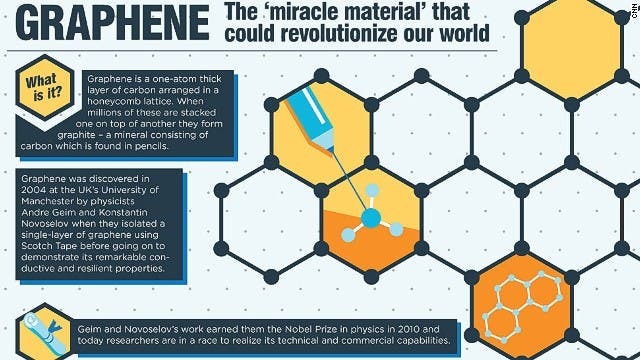 It’s official – graphene is the wonder material of the millennium. A team of researchers at the Max Planck Institute for Polymer Research (MPI-P) in Mainz and the National Univ. of Singapore found that thermal conductivity of graphene diverges with the size of the samples. What’s the big deal? Well, the findings show that the thermal conductivity of graphene is not a constant, as is the case for 99.99% of all other materials, but increases with the length of graphene. Scientists already knew graphene has excellent heat transfer capabilities, but few suspected this much. For the electronics industry, these findings might be a game changer. French physicist Joseph Fourier had postulated the laws of heat propagation in solids, according to whihc thermal conductivity is an intrinsic material property that is normally independent of size or shape – a constant. Yet, this is not the case for graphene, a two-dimensional layer of carbon atoms bound together in a hexagon shape. Davide Donadio, head of a Max Planck Research Group at the MPI-P, and colleagues performed extensive numerical simulations, whose results were backed by experiments, and found that the thermal conductivity logarithmically increases as a function of the size of the graphene samples. In other words, the longer the graphene layer, the more heat can be transferred through the batch of material. After analyzing the simulations, Davide Donadio found that this feature stems from the combination of reduced dimensionality and stiff chemical bonding, which make thermal vibration propagate with minimal dissipation at non-equilibrium conditions. “We recognized mechanisms of heat transfer that actually contradict Fourier’s law in the micrometer scale. Now all the previous experimental measurements of the thermal conductivity of graphene need to be reinterpreted. The very concept of thermal conductivity as an intrinsic property does not hold for graphene, at least for patches as large as several micrometers”, says Davide Donadio. It seems like every month, at least, there’s a new useful characteristic about surface that we come to learn. It is chemically very stable, flexible, a hundred times more tear-resistant than steel and at the same time very light. The fact that it has excellent electrical conductivity, however, coupled with this latest findings makes graphene a game changer for the electronics industry of the future. Now, the most important challenge researchers need to address is scaling manufacturing of graphene so that billions may practically experience what graphene can do, not just read about it and ponder about how marvelous technology, and human society consequently, can grow aided by this wonder material.